Once again, Biafrans are been massacred with impunity and this time it occurred on the 20th of January 2017, when the Indigenous People of Biafra came all out to a solidarity rally for the inauguration of US President Donald J. Trump. The peaceful rally kicked off by 9am Biafran time, in the city of Igweocha (Port Harcourt), with participants numbering over 20 million whom are mostly Biafrans in possession of flags of the US, Israel, Russia and Biafra. The solidarity rally for US President Donald Trump went on peacefully until the arrival of heavily armed Nigeria combined military force of both the Army, Police, Navy, and SSS, who indiscriminately began to shoot live bullets directing at Biafrans in order to disperse them. The Nigeria security forces also used machetes and tear gas to disperse the crowd, over 20 deaths was recorded and hundreds were injured, there were also several arrests and corpses of murdered Biafrans carried away by the security forces. While the Nigeria armed forces were killing and brutalizing the people of Biafra during the solidarity rally for Donald Trump, they kept mocking them and shouting “Let Donald Trump come and save you”, the security forces set ablaze the flags of the US, Israel, Russia and Biafra and placards inscribed with the image of the US President. 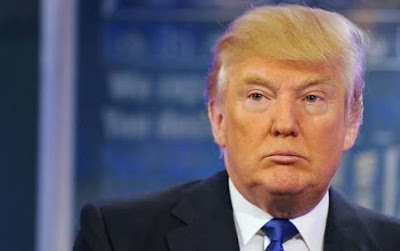 They questioned the reason for the massive support for Donald Trump by Biafrans and stressed vocally that any support for the US President is not welcomed in Nigeria. It is reasonable to note that an anti-Trump protest was held in Lagos without any fracas and no question was raised on the legality of such protest by the Nigeria security forces. It is noteworthy that the leadership of IPOB wrote to all the Nigeria security forces and top government officials about three weeks before the date of the solidarity rally, informing them of the peaceful and lawful gathering to show support for Donald Trump. That letter was discarded and the killing of Biafrans was approved by the Nigeria government. Recall in 2007, when ex-president Barack Obama won the US presidential election for the first time, thousands of Nigerians came out to the streets in jubilation. Also in 2015, when General Muhammadu Buhari was rigged into power courtesy of the administration of Barack Obama and David Cameron, thousands of northerners celebrated violently but not even one of them was arrested. But Biafrans who are peacefully exercising their right to peaceful assembly, without any arms or being violent in any way, are being murdered in cold blood under the directives of the Nigerian President Muhammadu Buhari. The people of Biafra are calling on the international community to be the judge because our human rights have been trampled upon several times by the murderous Nigeria government. We are humans and at some point we will be left with no other option than to defend ourselves. Biafrans are calling on the United States of America under the watchful eyes of President Donald Trump, we call on Israeli Prime Minister Benjamin Netanyahu, the Russian government led by Vladimir Putin and also lovers of freedom around the globe to hear our cry for help and come to our aid. We refuse to be associated with the Islamic government of Nigeria and demand for the total restoration of our fatherland of Biafra that was wrongfully robbed us by the British government in 1914. Self-determination is a universal law under the United Nations Charter and the Nigeria government of Muhammadu Buhari must face justice for the killing and massacre of peaceful and unarmed Biafrans.